There are several ways to download unknown device driver or drivers and we will categorize them into three groups: “Manual Using the Backup CD,” “Manual Online Search and Download,” and “Instant Unknown Device Driver Download (.exe or .zip).” Our discussion will also focus on the risks associated with the manual online search and download of exe and zip files. If you have the backup CD with the drivers for your PC or an external device such as a USB printer – (many PC/Laptops are sold with a “Drivers and Utilities Backup” CD, and most external devices come with the CD) , this may prove to be the easiest solution for undergoing unknown device driver download (.exe or .zip)! If you are not already inside the Device Manager, please access it via Start/Control Panel, or Start/Control Panel/Hardware and Sound, or Start/System/Control Panel if you are Windows XP user. The next step would be to Right-Click on the Unknown Device or Problematic Device which you can spot by warnings such as question and exclamation marks. Now you can try the “Update Driver” option or select “Properties” and Click on the Reinstall Driver button. 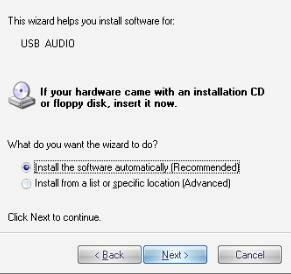 In both instances, your Windows OS may be able to automatically find drivers or, if not, you will be prompted to insert an installation CD for your hardware (e.g. you may already be aware that your unknown device is your new printer and you have its installation CD). If your installation CD is lost or you don’t have it, you can try searching for .exe or .zip drivers online. Please keep in mind that you should only download these drivers manually from the official websites of device/hardware manufacturers. There are always high risks that .exe files may contain viruses, malware, or other malicious threats! If you end up knowing the identity of your unknown device, then consider that the majority of downloadable files are in .exe format or are compressed into .rar or .zip files mainly when drivers are bundled with other files on a manufacturer’s website. Once you find the driver file, you can now download and update your unknown device drivers by following the steps discussed above for “Update Driver” or “Properties” options. What if you don’t know the identity of your unknown device or even worse if you need to identify and find drivers for several unknown devices? Then we highly recommended that you consider an instant solution and download reliable Driver Update software such as DriverDetective (Microsoft Certified Partner). This is the safest and easiest solution for unknown device driver download (.exe or .zip). This software will not only fix unknown device driver problems but it will update all other outdated drivers instantly – outdated drivers may be or will be causing other PC performance issues, such as random slowdowns and hang-ups). You can experience Driver Detective first hand by running a Free Driver Scan! Once again, there are big risks associated with Manual Unknown Device Driver Download such as drivers bundled with viruses like keyloggers and rootkits which may steal your private data, or they may be bundled with malware. There are also risks of downloading outdated drivers. It may come down to trial and error, trial to check if the downloaded file will suit the required device driver, and error if it will fail because it is corrupted. In some cases, you might not be able to check if the driver you downloaded is outdated, and if you already installed the outdated driver, it may greatly affect the performance of your device and your computer. Considering those risks, you might try to search for another driver or you may reconsider the instant solution for Unknown Device Driver Download (.exe or .zip)! Instant Unknown Device Driver Download is the most recommended option even by many professional computer users. It will save you from frustrating searches and from the risks that you might encounter after manually downloading (.exe or .zip) driver files on the Internet.